Today BBC News Onlinehas run a piece on the Government’s current bovine TB strategy ahead of the publication of the Godfray review tomorrow. The piece questions the validity of comments made by Minister George Eustice on the effectiveness of the cull and accuses Defra of preventing its scientists from speaking directly to journalists. The piece follows a letter from a group of vets to the Chief Vet, Christine Middlemiss, and claims that Defra’s figures on the effectiveness of the badger cull are wrong and that the reduced incidence of TB in cattle, as announced by the department, is not supported by scientific evidence. We provided the following statement and briefing to Mr Ghosh making clear that all statements made by the department and its Ministers are absolutely correct. The latest statistics showed reductions in new outbreaks of bovine TB in the initial cull areas, an encouraging sign that the steps we have taken have had a positive impact. Based on this scientific data, Minister Eustice was absolutely correct to describe this progress as encouraging. Measuring new outbreaks is the primary way we analyse the effect of our interventions in these areas. It is also the method used for reporting TB incidence in National Statistics. Findings published in September showed that initial culls in the Higher Risk Area (HRA) have had a positive impact on disease incidence - there has been a drop in TB incidence in the first two cull areas where the number of new confirmed breakdowns has dropped by around 50%. In Gloucestershire the incidence rate has dropped from 10.4% before culling began to 5.6% in the twelve months following the fourth cull. While in Somerset it has dropped from 24% to 12%. As expected, it is too early for the data for the eight other cull areas that have held licences for two or three years to show any drop in new case rates. The latest report will say: “Annual TB monitoring data and results for each badger control licensed area and their buffer areas up to the end of 2017 have recently been published which appear consistent with the earlier results”. Counting only “Herd years at risk” is the best way of calculating the rate of new TB cases (incidence) as it takes into account the fact that herds who are already under TB restriction cannot have a new incident and so it is best to remove them from the calculations. We have been clear that we will do a full scientific analysis on our methods and publish in a scientific journal in due course. A full analysis is underway and will be published later in the year. We also provided the following briefing to Mr Ghosh regarding the process we follow when journalists request interviews with civil service journalists. 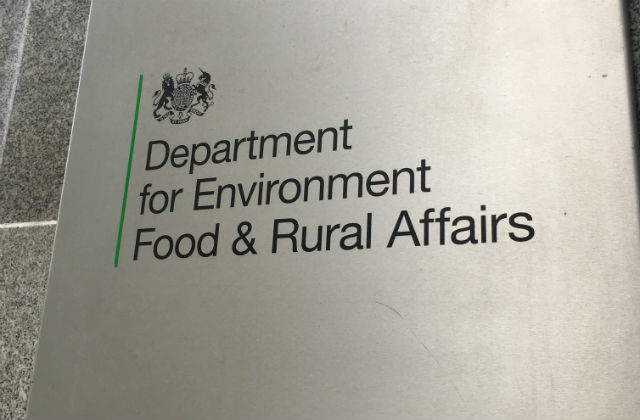 Today, Defra is hosting an embargoed media briefing with a range of journalists to ensure sure they have an opportunity to speak with our scientists ahead of important announcements such as the Godray review. Any requests to interview civil servants are handled in line with the Civil Service Code.This states that civil servants must not make any public statement which might draw upon experience in their official capacity without the prior approval of their department. As a starting point, the views of the civil servant as to whether they would consider accepting the request would be taken into account. This morning, BBC’s Today Programme reported on the neonicotinoids debate, sharing the views of farmers who argue the use of neonicotinoids increases their competitiveness and should not be banned. In April this year, the government supported the EU restrictions on the outdoor use of three neonicotinoids. This decision was based on a growing weight of scientific evidence that they are harmful to bees and other pollinators. The recent application for the use of neonicotinoids on sugar beet seed was also declined because evidence showed the risks to bees and the wider environment, as set out in the proposals, were simply too great. The decision was made following clear advice from the Health & Safety Executive and UK Expert Committee on Pesticides. You can read more about this in our previous blog. We make decisions on the use of pesticides based on a scientific assessment of the risks, so we best protect the public and the environment. The recent application for the use of neonicotinoids on sugar beets was declined because evidence showed the risks to bees and the wider environment were too great. We recognise the impact this may have on farmers and advice has been given on what would need to be addressed in future applications. We are also working with industry to explore alternatives to these pesticides.